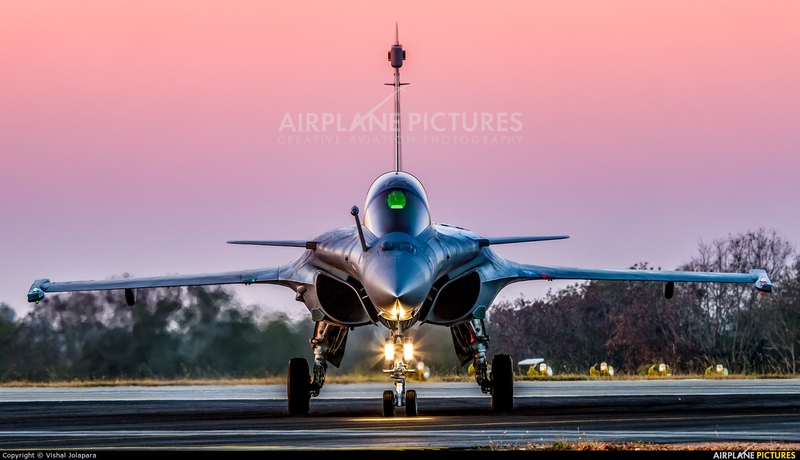 Alien vs Predator 8-) Dassault Test Pilot Sébastien Dupont de Dinechin and One of India's Top Defence Journalist & a friend of mine - Shiv Aroor exit runway 09 post sundown & after 46 minutes of sheer ecstacy. The Capt presented me his 'FRANCE' Patch post this flight which he had worn throughout his Afghanistan campaign, hell of a souvenir! Nice catch! Love the angle, light and edit! A job well done! EC if you ask me!